This little one is most likely a Lowry child, but exactly who is not clear. It certainly resembles my grandfather at this age, but I can’t be certain. Regardless, it looks like a fun afternoon is planned digging and carrying dirt around. Unknown Lowry child, photograph, taken at unknown location in early 1920s; digital image, photocopy of original, scanned in 2013 by Joseph Lowry; privately held by Mary McCaffrey, [address for private use], Canton, Ohio. 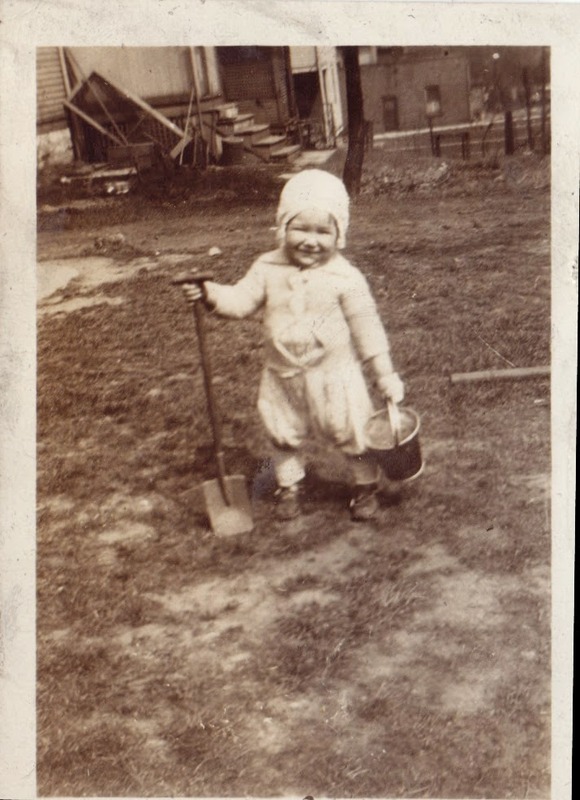 Young child in light colored shirt, pants and cap carrying a bucket and shovel. Provenance is Mary Pepperney Lowry to Charles Lowry to Mary McCaffrey.